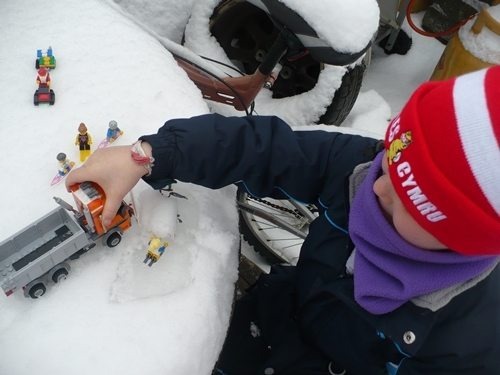 The lego guys have been on an adventure! 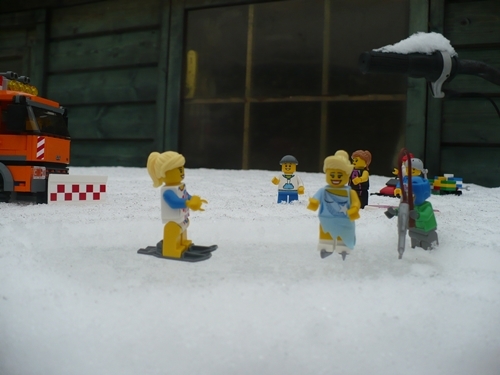 They are all over the winter sports don’t you know! 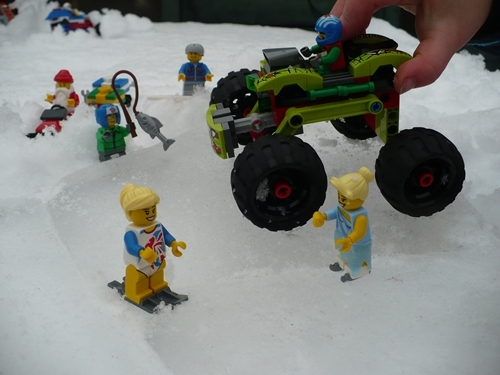 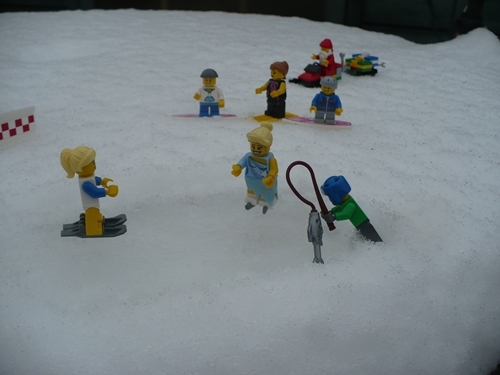 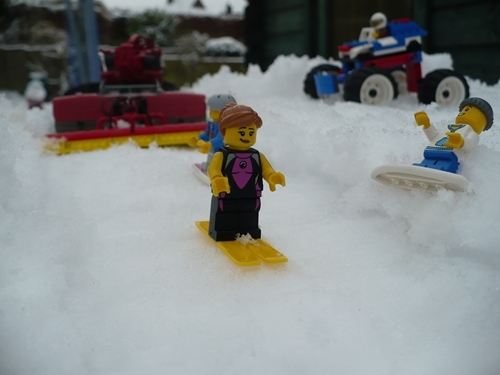 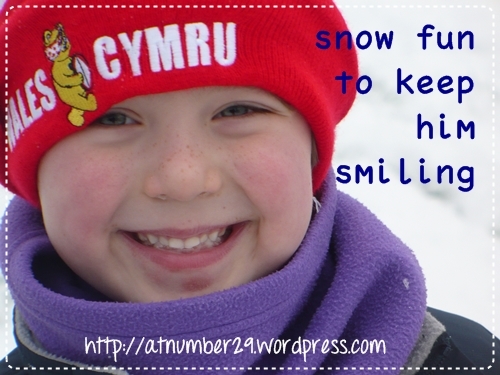 We had skiers, skaters and of course a snow plough. 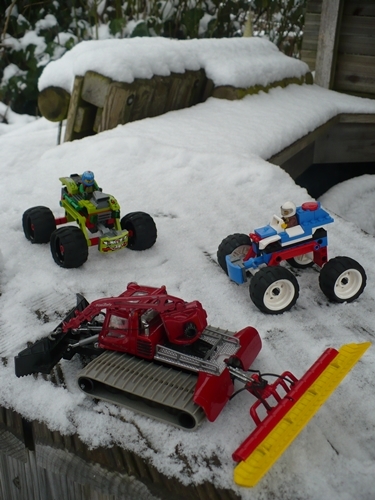 Even a non lego piste basher got a look in.